Buckeye Rental homes is a quaint place to find a cozy and affordable rental home. The local residents there will tell you that the town has a nice quiet feel to it with a strong sense of community among its neighbors. The area is located only 30 miles from Phoenix and nestled in Maricopa County. Homes here are easy to find and at an affordable price for those not yet ready to invest in a home mortgage. This area is considered to be safe and enjoyable for families with school districts notable for their academics. 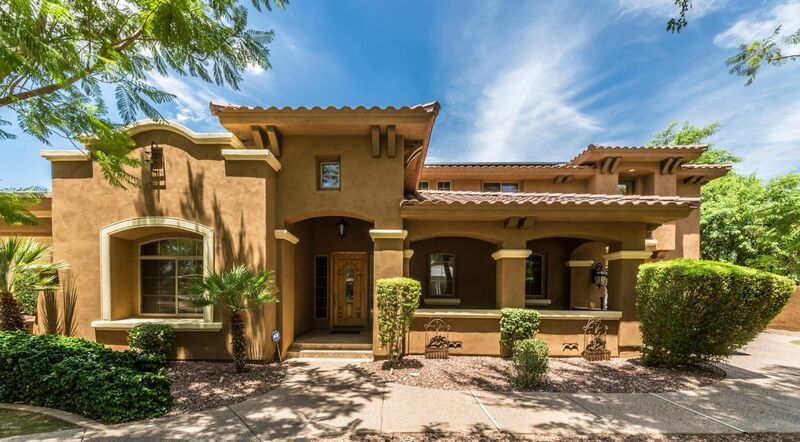 For families with children preparing to apply for colleges in the near future, moving to this area and finding a home here would be an advantage to be close to the University of Arizona in the city of Tempe. The University of Arizona is nationally recognized for its prestige in academics, its diverse student body, and sport teams. Parks in the town such as the Buckeye Hills Recreational Area and Sundance Park are suitable for family gatherings, picnics, or barbeques and provide a relaxing place for residents to enjoy each other's company. The community also keeps its residents well entertained with annual festivals like Oktoberfest, Christmas Holiday Boutiques, and the occasional holiday parades. Don't miss the Christmas Electrical Parade where many of the townspeople participate in the march downtown! For those interested in golfing, the town has an array of lovely golf clubs to enjoy an afternoon on the green. The fabulous Raven Golf Club at Verrado, the Sundance Golf Course, and the Copper Canyon Golf Club all have a stretch of beautiful grounds. Feeling a little more adventurous? The Desert Sky Diving Center here has got you covered if you are feeling the urge to feel an adrenaline rush. The opportunity to sky dive over the desert lands of Arizona is a once in a lifetime experience that many tourists visiting nearby Phoenix will seek out by driving out to Buckeye for the day. Settling down in a home here will guarantee you a life of rest and relaxation. The small town feel will make you feel right at home with many forms of entertainment at your fingertips. Whether you are feeling like sky diving adventure or a mellower round of golf on the green, this city has it all!